In a world of primarily raw, plant-based eating, leafy green vegetables have quite the reputation. They're loaded with essential vitamins, minerals, nutrients and antioxidants that give your body the strength it needs to reduce your risk for developing chronic conditions – such as heart disease, osteoporosis and certain cancers – while also helping you maintain a healthy weight, according to the U.S. Department of Agriculture. Essentially, these natural gifts from God have the power to aid your body back to health, allowing for longevity and overall satisfaction of life. Loaded with calcium, folate, potassium and vitamins A,C and K, The Science of Eating calls kale a powerhouse of nutrition, dubbing it the best leafy green available. Its high source of antioxidants gives it anti-cancer properties, among many other benefits in regard to overall health and longevity. According to Dr. Mercola, spinach is another great leafy green that's beneficial to essentially every part of the body. It's low in fat and cholesterol and high in niacin, zinc, protein, fiber, vitamins A, C, E, K, B6, folate, calcium, iron, magnesium, phosphorus and potassium. These nutrients help to protect the cardiovascular system, lower high blood pressure, maintain brain function and more. 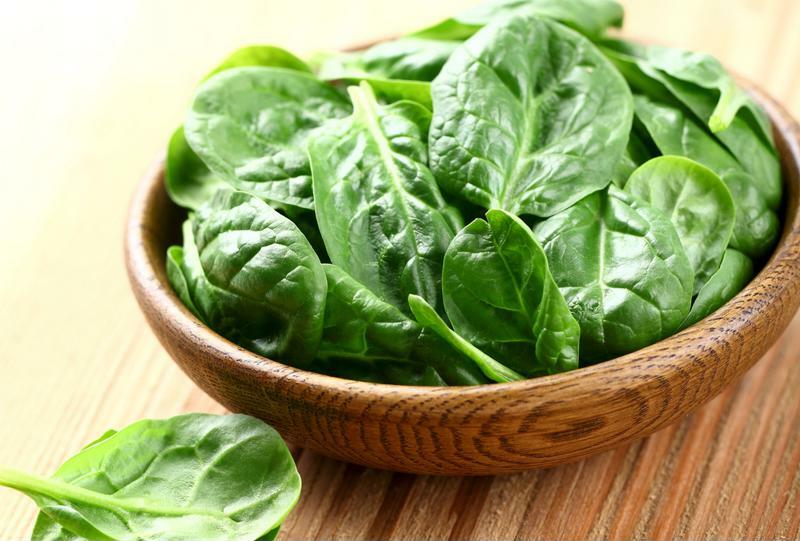 Fresh spinach protects the cardiovascular system, lowers high blood pressure and helps to maintain brain function. One serving of Chinese cabbage, better known as bok choy, contains 9 calories, 1 gram of protein, 1.5 grams of carbohydrates, 0 cholesterol and 0.1 grams of polyunsaturated fat when raw, according to Medical News Daily. A single cup of the stuff have 5 percent of your daily potassium, 62 percent vitamin A, 52 percent of vitamin C, 3 percent of vitamin B6 and 3 percent of magnesium. It also harbors phosphorus, zinc, sodium, copper, manganese, selenium, beta-carotene and more nutrients that aid bone and heart health, reduce inflammation, regulate blood pressure and boost immunity. Turnip greens are low in calories – at only 20 per cup – but they're high in flavor, calcium and vitamins A, C and K. It's vitamin A content promotes healthy eyesight, preventing age-related macular degeneration and other eye-related disorders risk. Turnip greens are also great for bones and teeth due to its calcium content, keeping bones strong and reducing your chance of experiencing fractures or developing osteoporosis down the road. Swiss chard has an impressive abundance of vitamins, minerals and nutrients, according to Organic Facts. It's loaded with vitamin K, C, A, E and B6, as well as riboflavin, magnesium, manganese, potassium, iron, sodium, copper and fiber. Due to its nutrient content, Swiss chard has the ability to help regulate blood pressure, improve digestion, boost your immune system, reduce inflammation, increase bone strength, maintain brain function and even reduce cancer risks. Other highly beneficial leafy green vegetables that should show up in your primarily raw, plant-based diet include arugula, cabbage, mustard greens, watercress and collards. Add a variety of these vegetables to salads, use them as the base for a vegetable wrap or add them to your favorite raw soups and juices for optimum nutrition. We believe all leafy green vegetables are beneficial to overall health and longevity, and variety is key when it comes to following a plant-based diet. Make sure to mix things up and prioritize a new leafy green during every meal. To keep your breakfast, lunch and dinner interesting, be sure to refer to our database of recipes to stay inspired in the kitchen. Love my spinach. The more green the better for your system. Branch out and try something you’ve not tried before. You might be surprised!. Thanks for this blog. Thank you for the information! Its great to know the many benefits of each of the greens. 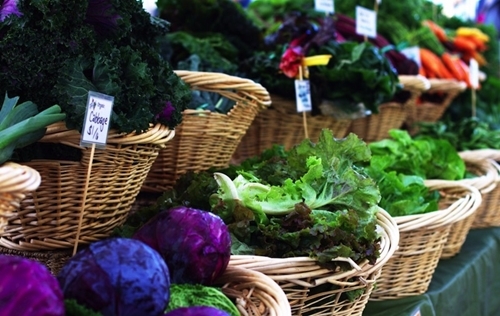 Its definitely an encouragement to be sure we include a variety of the green leafy vegetables in our diet. I’m so glad greens are good for you! I love most any kind of greens, raw or cooked. There are so many ways to incorporate greens into your daily diet, whether it’s in a salad, or just plain comfort food with cooked greens. I will never forget my first experience trying collard wraps when I was helping Rhonda Malkmus with food prep for her culinary demonstrations a few years ago. I was pleasantly surprised. I love my greens, the fact that they are good for you just makes me love them even more. Adding some kale or spinach to a smoothie is always a great way to incorporate them in your diet. When eating the greens like they talked about in the article, these greens are packed with vitamins A,C,E and K minerals and a abundance of nutrition. I love making salads with the different greens along with the other veggies. In my smoothies they are real good and to know there is so much nutrients in the greens. Great information about greens. where does collards rate? are they ok to juice? Collards are fantastic and great as a juicing ingredient. Drinking straight collard juice would taste way too strong.